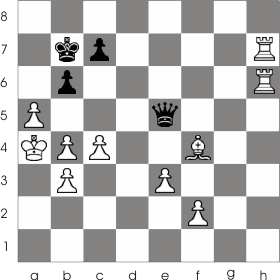 This tactical procedure involves blocking the square on which the king could escape. What follows is a classic example of using blocking. White has his turn to move. He will force Black to block his own king by moving 1. Qg8! R:g8 (the only possible move) and now that the king is blocked he can be easily checkmated Nf7 . This type of checkmate is called etouffe; the term 'etouffe' is french and it means suffocated. 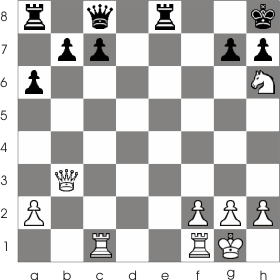 It's called this way because the king is stopped from moving by its own pieces (he is suffocated).